Welcome to Days Inn by Wyndham Collinsville, the best of the Collinsville, Illinois hotels for business or pleasure – and right where you need to be. Our comfortable, affordable and well-situated hotel is within easy driving distance to downtown St. Louis and within a short walk of Gateway Convention Center. Choose us over other hotels in Collinsville, Illinois and benefit from our convenient location. Also located nearby is Fairmount Park, Gateway Fun Park and St. Louis International Airport, which is just 24 miles away. Enjoy City Museum and the Missouri Botanical Gardens while in town too. Amenities sure to brighten any stay include a free deluxe continental breakfast, free wifi and in-room features like flat-screen televisions, microwaves, refrigerators and more. You can choose a suite with a jetted tub if you like. Plus, our property also has an indoor heated pool. And don’t worry about parking. We have ample free parking for vehicles of all sizes. We hope to be your home away from home in the Collinsville area – a place to can trust and depend on for excellence. From the moment you arrive, you’ll see our commitment to quality at every turn, every day. Choose our Days Inn, and stay in affordable comfort for as many days as you like. May we have your business? Business Travel : No matter what kind of business you have in the St. Louis area, Days Inn Collinsville has been created from the ground up with the unique needs of business travelers in mind. That's why we offer a range of service and amenities designed for business. Stay with us no matter why you're looking for Collinsville, Illinois hotels and be sure to be satisfied. We make a sensible choice when you want Collinsville hotels near downtown St. Louis or quiet, comfortable St. Louis International Airport hotels as well. Step inside our carefully designed hotel and experience just what you need for a great night and great days – all at an affordable price. Family Travel : Interested in Collinsville hotels near Gateway Fun Park? We didn't forget the unique needs of family travelers when we designed this Collinsville, Illinois hotel. We're the right place when you want affordable downtown St Louis Collinsville hotels, comfortable hotels near Gateway Convention Center Collinsville and more. In fact, whether you're in town for a funeral, a wedding, a family sightseeing trip or simply passing on your way to another place, we're here for you at our well-regarded Days Inn. May we be of service to you? We'd like to serve you in any way we can so that we meet your unique needs and make you feel right at home. Vacation Travel : Looking for a Collinsville, Illinois motel for your vacation travel needs? Looking for a place to stay near St. Louis but away from the hustle and bustle – and high prices – of the big city? Our versatile and conveniently located property is just the ticket for your vacation travel needs in this vast and interesting area. We offer great rates and excellent amenities beyond the expected to make sure your vacation is memorable and goes smoothly. While you could stay somewhere else, stay in complete comfort without a worry in the world when you select the best of the Collinsville hotels near Gateway Convention Center and so much more. Comfortable Stay : We're a smart choice of St. Louis area hotels at our Days Inn hotel in Collinsville IL. 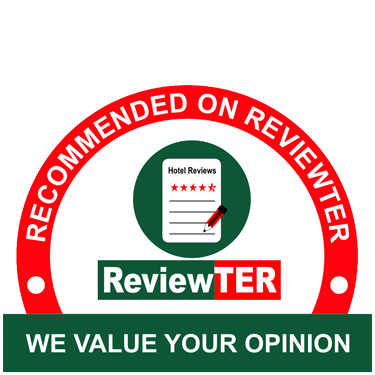 No other local motels will do a better job for you or offer a better rate. That's something we can say with confidence after checking out other properties and guest comments. Book with us no matter what brings you to the area and stay in comfort, the goal of our team at the best of the hotels in Collinsville, Illinois. You'll be glad you did. Just be sure you book soon. Because we're a popular place in a busy area, we can sometimes fill up. And you don't want to miss your chance to stay a few nights with us. Monk Mounds is worth seeing because it’s the largest earthworks area in the nation. How about that? Splash City Family Waterpark brings people from all over the area together for water fun of many different types. Gateway Fun Park has mini-golf, go-carts and so much more – all designed with fun for the entire family to enjoy. Collinsville Historical Museum is a serious-minded look at the history of this area going back as far as possible. Have a family fun day at Gateway Fun Park, where you can play mini-golf and ride go-karts, or cool off at Splash City Family Water Park. Visit the Budweiser Clydesdale Stable, Beechwood Lager Cellars, and Bevo Packaging Facility. The Saint Louis Zoo is about a 20-minute drive from our hotel.